The design for Skënderbeg Square by 51N4E (after artist Anri Sala withdrew his name from the project) has advanced to the finals of the EU Mies van der Rohe Architecture Award. 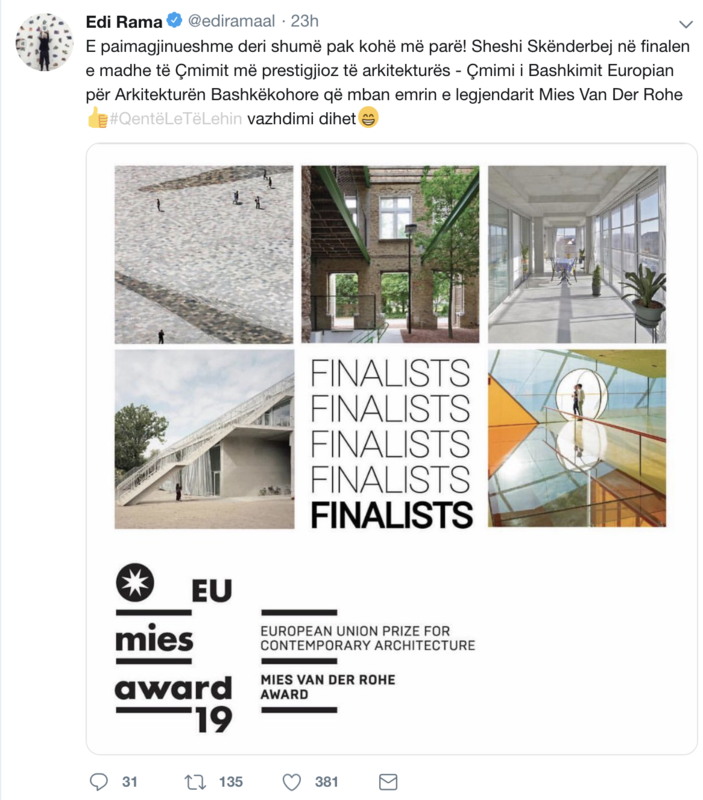 Exit had inquired at the Mies van der Rohe Award whether their featuring of the Skënderbeg Square project would not be perceived as an endorsement of widespread corruption with the project. 51N4E co-founder Peter Swinnen had also been fired from his job as State Architect of Flanders, after an internal audit uncovered fraud with Albanian tenders. He was, however, not criminally prosecuted in a Flemish court. 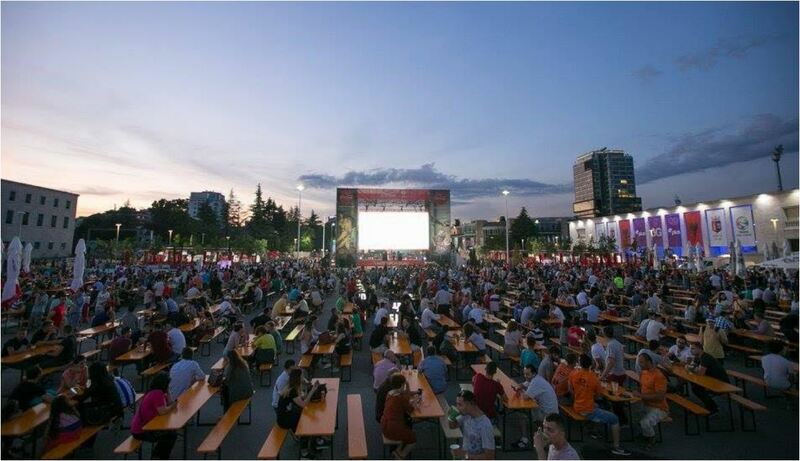 The Mies van der Rohe Award did not respond to any of the allegations of corruption involving the construction of Skënderbeg Square, nor acknowledged to have investigated the matter. Exit has inquired which Flemish court documents were received by the Mies van der Rohe Award, but so far has not received a response.